Ms. Irwin has almost fifteen years of experience working in the legal field; first as a paralegal, and then as an attorney. Her work history has exposed her to many different areas of law including personal injury, criminal defense, and family law. Ms. Irwin was born and raised in Kansas City, and graduated with honors from the University of Missouri – Kansas City and then obtained her law degree from the University of Missouri – Kansas City School of Law. 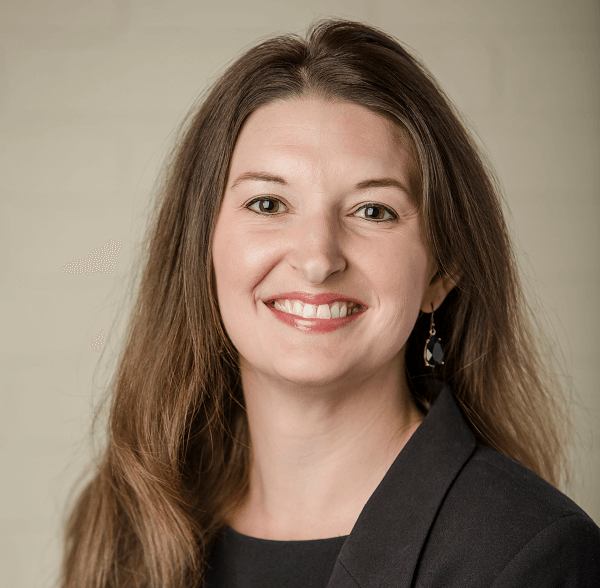 During law school, Ms. Irwin participated in the Family Law and Guardian ad Litem clinics, and represented clients in Court as a Rule 13 attorney under the supervision of her professor. She also clerked for a personal injury law firm and a criminal defense law firm during law school. Ms. Irwin has successfully tried a personal injury case in front of a jury, won a preliminary hearing for a client charged with felony parental kidnapping, and represented clients in all aspects of family law matters, from adoptions and termination of parental rights to divorces and contested child custody. Whatever your family law needs are, Ms. Irwin can help you navigate through them.